Visit Kelley Blue Book and fill out their "Instant Cash Offer" form with the condition of your vehicle. Bring in your KBB.com offer to our location and our highly trained staff will inspect your vehicle. After your vehicle passes inspection, you'll receive a check and don't need to worry about the rest. As a trusted partner of KBB, we work together to ensure our customers are receiving the best offers for their vehicle. Please let us know how we’re doing by leaving us a review. 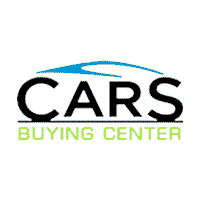 Here at Cars Buying Center, we understand how difficult and time consuming it might be to sell your car. That is why we try to get rid of the added stress one might go through when selling a car. We are a growing business that aims to be completely transparent to our community to ensure our customers are receiving the best quality. and the hassle of selling on your own. We have a highly trained professional staff that will look out for your best interest. We will treat you like family and provide you with the best car selling experience like never before. Selling a vehicle cannot be more straightforward with us. With just three easy steps you can receive an offer and check within the same day, and we will take care of the rest.